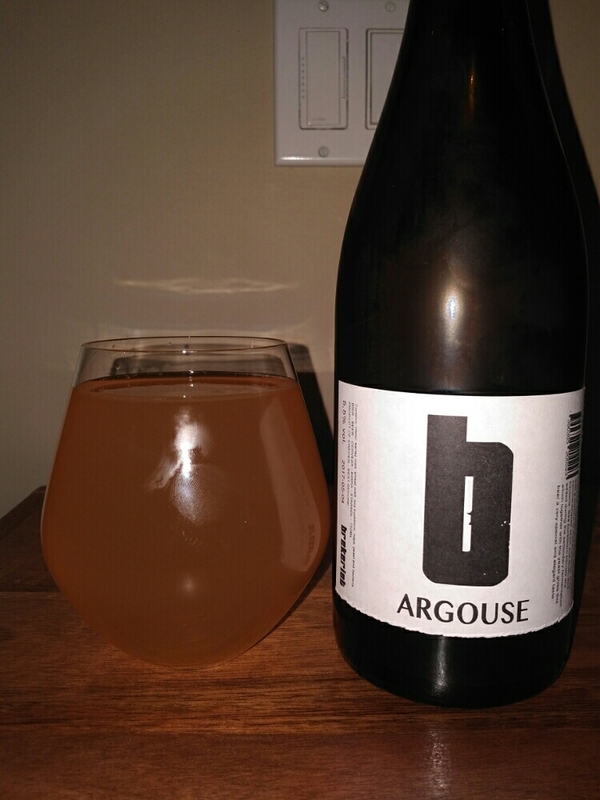 From brekeriet beer out of Landskrona Sweden comes their “Argouse” a sour farmhouse ale. The beer pours a cloudy orange with little to no head. The aroma consists of lots of barnyard funk and citrus. The flavour is of lemon, barnyard funk, tartness, citrus and some wheat. The alcohol content comes in at 5.5%. This beer was quite refreshing and tasty and we’ll worth picking up! The price is pretty high in Canada but worth it. This entry was posted in Sour Ale and tagged barnyard funk, brekeriet, citrus, craft beer, farmhouse ale, Landskrona, lemon, sour ale, sour farmhouse ale, sweden, tartness, wheat. Just tried some of their beers last night at the Toronto Festival of Beer and wow, impressive sours! Are they readily available in BC?